In my everlasting quest to make the perfect cakes suitable for my food-intolerant friends and colleagues, I have started exploring oat-based products more and more. This also applies to adapting the recipes I use when working with my students in order to include those who cannot eat dairy products. It’s important to be able to be allergy-friendly in the kitchen. It all started with oat milk and deveoped from that. 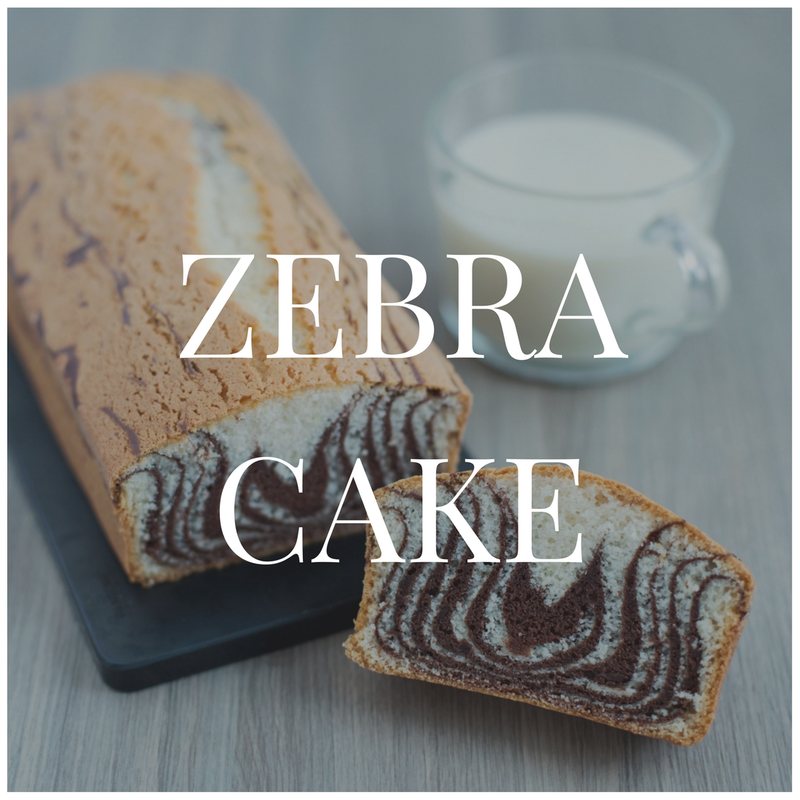 In this recipe I’m using cream, and using oat cream makes this zebra cake suitable for people with a milk allergy. The real reason why I came up with this cake was that I had some cream that had been bought by mistake instead of milk. There’s no way I would have allowed for food waste so I spontaneously turned it into a cake. I didn’t follow a recipe, but rather followed my sense. The only thing I was aiming for was to use up this cream. I am talking in particular of this product, which is from a brand that is very popular in Sweden. For those who don’t have access to it, it’s a 10% fat cream made for cooking. I’m sure the cake will also turn out with a cow milk-based 10% fat cream, or an oat-based cream from any other brand, but so far I have only tried making it with Oatly. 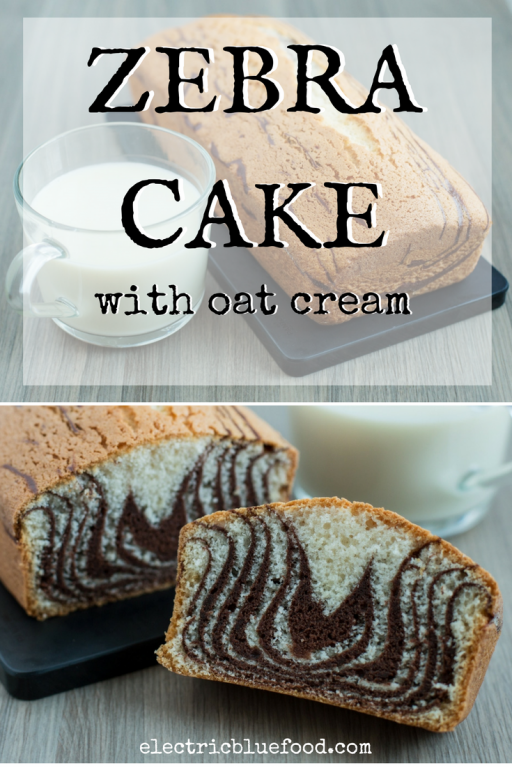 As I was saying, no real recipe to follow, and only two things in mind: to feature this oat cream and to make it in a zebra pattern, just for fun. Because it’s cute. So here we go. Preheat the oven to 180°C. In a bowl combine the flour and baking powder and set aside. In another bowl combine the sugar and the eggs and beat with a hand mixer at medium-high speed until white and double in size (a few minutes). Lower the speed to medium and add 200 ml of oat cream. Stop the mixer and pour in the flour mixture, sifted. Now start the mixer again, at low speed, and mix until the flour has been incorporated and the batter looks smooth. Do not overbeat. Pour half of the batter in the bowl that used to house the flour mixture, add the cocoa powder and the extra 40 ml of cream and mix that at low speed. You should now have two bowls with two batters, one white and one brown. Now you can finally set the mixer aside (isn’t it delightful to make a whole cake using the mixer? #lazy). Now, to achieve the zebra pattern the trick is to pour the two batters alternating, always pouring the next in the middle of the pan. 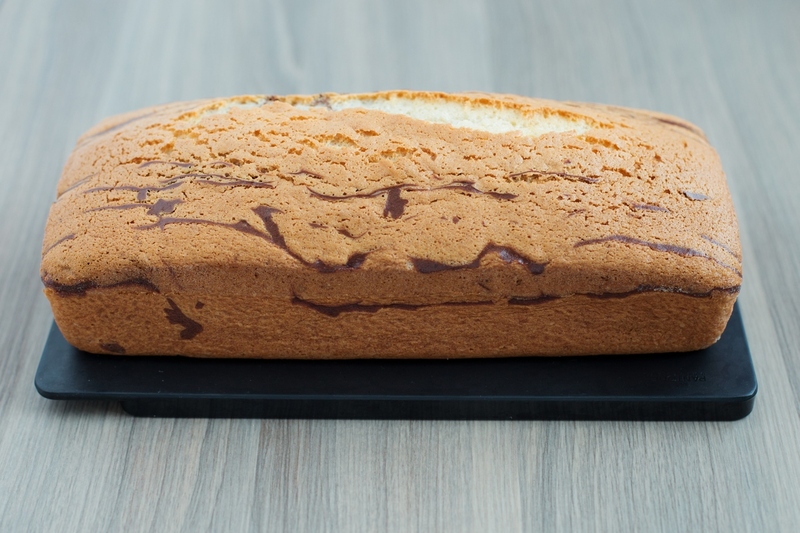 When making a round cake, the trick is to always pour the batter in the centre of the pan. Since I used a loaf pan, what I did was to pour the batter in a continuous stream lenghtways, and helping myself with a rubber spatula to stop the flow when I reach the other side of the pan. I keep making layers of the two batters, alternating them, always pouring a “ribbon” of batter over the previous one, and letting it set. I generally begin with the white batter and end with the white batter. I realize I have made it sound more complicated than it really is, so if my words have confused you please do not give up and find a tutorial on Youtube. It’s easy, I’m just not good at explaining it (why am I not a videoblogger? Please don’t give up, it’s easy, I promise). When you slice it – surprise! I must admit that the cocoa doesn’t really give the cake much flavour. It’s more for the colour. Next time I should try to make a rainbow. 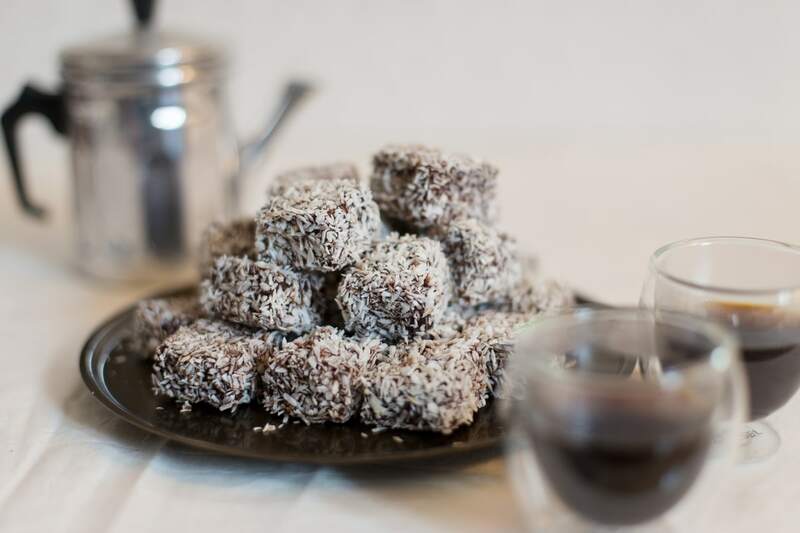 As for the oat cream… I really like the fact that you can taste the oats in the raw batter, but once baked you wouldn’t guess that this cake has no milk products. Oat cream is very discreet. So I poured myself a glass of oat milk to taste the oats. 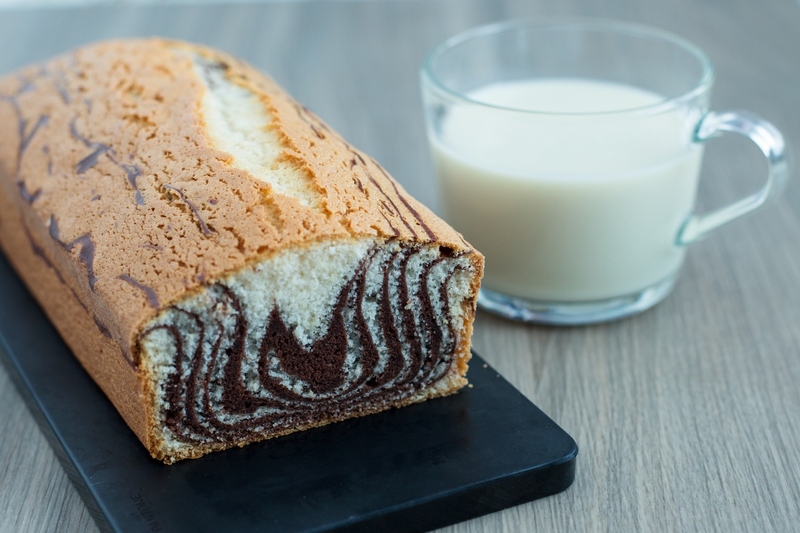 Although this cake is named “zebra cake”, judging from the outcome of this loaf in particular I should have named it “the evil octopus cat” cake. I need to admit that after getting to know this Oatly cream by chance I started buying it regularly. A few years ago I was advised to lower my lactose intake because my gut did not share my mouth’s passion for dairy products (if I had to choose only one food to live by until my last day it would be cheese, this is how much I love milk products), so I started to alternate regular milk and milk products with lactose free as well as non-dairy alternatives overall. I must admit that this little switch in my diet made me feel better and random gut pain stopped bothering me. Ohh what a wonderful idea!! I already love it! Stavolta ti scrivo in italiano 🙂 Le tue torte sono meravigliose. 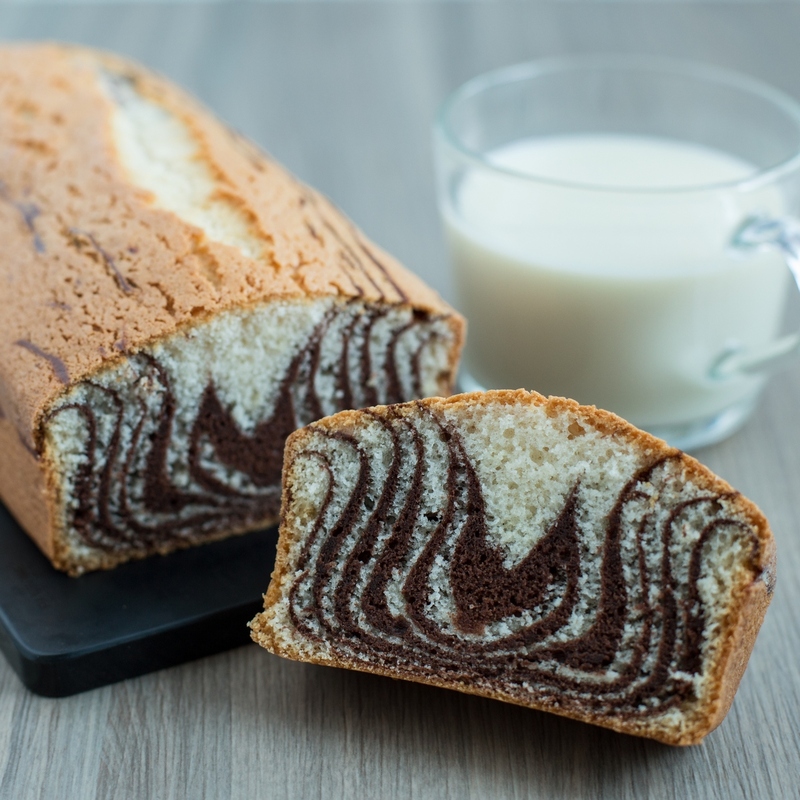 Non so se riuscirò mai a ottenere le strisce, ma questo è uno dei plumcake che adoro, perfetto a colazione e a merenda. Tu ami il formaggio, io lo yogurt, non potrei mai e poi mai farne a meno. E anch’io ho problemi con il lattosio, perciò ogni tanto cerco alternative… e devo dire che i prodotti senza lattosio, ormai, sono buoni quanto quelli “normali”. Per fortuna. Verissimo, qui in Svezia c’è ampia scelta di prodotti senza lattosio e devo ammettere che sono tutti ottimi. Per non parlare di quelli senza latte, come appunto la gamma Oatly. Comunque, pare che siamo persone molto simili 🙂 E non demordere, le strisce sono più facili da fare di come io le abbia descritte! 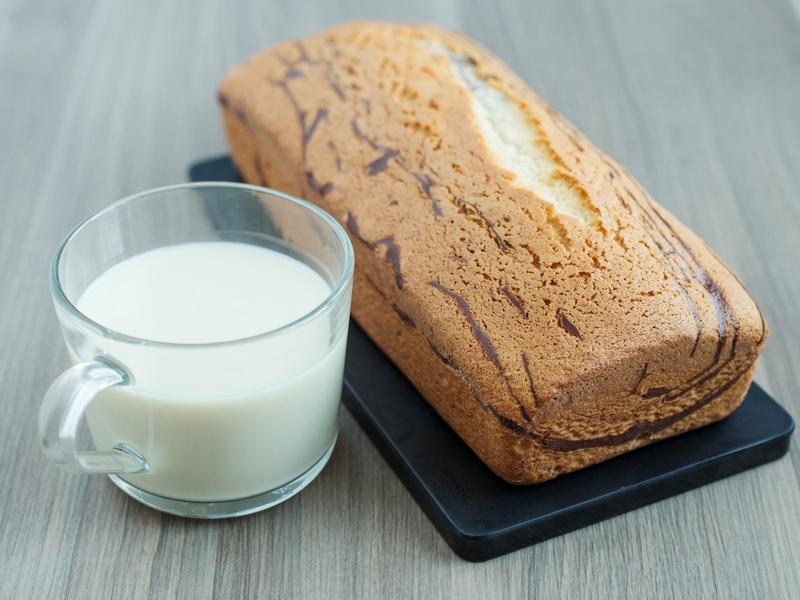 Al prossimo plumcake provaci!! Ci provo allora 🙂 Hai ragione, abbiamo tante cose in comune. Compreso un certo feeling con i paesi nordici, mi sa… By the way, adoro il latte d’avena Oatly, che avevo scoperto a Londra e che finalmente è arrivato anche in Italia! 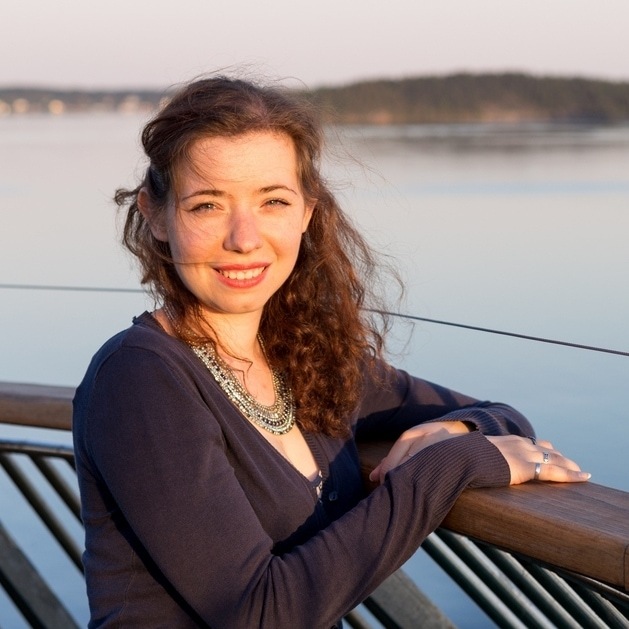 Eh sì, l’amore per il Nord Europa è quello che mi ha spinta a trasferirmi in Svezia. Arriva anche il latte al cioccolato della Oatly? Quello è buonissimo!! Wow…I’ve never heard of zebra cake. Now I’m dying to try it. What a wonderful recipe! Ohh please do!! You won’t be disappointed. And it looks so pretty when you slice it. It really does. I’m thinking of making this for Sunday Brunch. 🙂 Have a wonderful weekend!